More than 40 percent of all fatal motorcycle-vehicle accidents stem from a passenger vehicle making a left-hand turn in front of the motorcyclist. Unfortunately, many motorists simply do not pay enough attention to other roadway users –especially bikers — and the results are often life-shattering. Distracted or unaware drivers are the primary concern in serious motorcycle crashes where bikers go unnoticed as motorists pull out of a driveway or make a left hand turn. If you have been injured in an unsafe left turn motorcycle accident, or lost a loved one because of another driver’s negligence, the law is on your side. 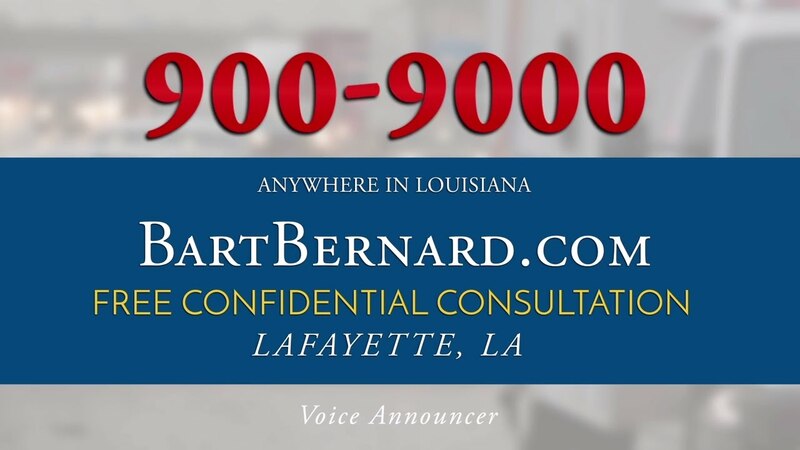 Louisiana motorcycle accident lawyer Bart Bernard can help protect your rights after such a catastrophe, and extends free case evaluations to residents throughout the Lafayette, Baton Rouge and Lake Charles areas. According to research on motorcycle collision causes commissioned by the National Technical Information Service (NTIS), in the majority of these incidents vehicle drivers did not detect the motorcyclist or registered them too late to prevent the accident. Law enforcement say that the bulk of “left-hand turn accidents” involving motorcycles happen at intersections, when drivers make their move after incorrectly calculating the speed of the oncoming motorcyclist, or did not see the biker after looking both ways. Even those bikers wearing helmets and protective clothing are lucky to escape such an accident without crippling injuries. This is because there is far less metal structure protecting a motorcyclist from impact. In some cases, the vehicle driver’s line of sight may have been compromised by another car or the sun’s glare but regardless of the circumstances, these accidents can turn deadly when a motorcycle is involved. You would assume that the left turning vehicle driver would always be responsible for damages and injuries in such an accident. Even in scenarios where the driver failed to notice the motorcyclist or was speeding through an intersection, establishing liability in left turn crashes is not without its challenges. For this reason, it is crucial to have a skilled personal injury attorney at your side – an advocate who can prove what really happened by marshaling compelling evidence, eyewitness testimony and reports from accident reconstruction experts. Given the risk of sustaining life-threatening injuries, motorcyclists must take extra precautionary measures to avoid collision with vehicles and objects. Once a biker notices a driver about to make an unsafe left hand turn, he or she has just seconds to take evasive steps. While a safety helmet and protective gear may save your life in a collision, it may not save victims from disfiguring injuries, broken bones, deep lacerations and road rash. After any kind of motorcycle crash, you are encouraged to seek the counsel of an experienced injury lawyer who can determine if you have a claim for compensation. Attorney Bart Bernard has the expertise and negotiating skills to settle cases swiftly and favorably, and has a long track record of significant recoveries for his clients. More importantly, he only collects legal fees if you win or settle your claim. To learn more about your legal options, we invite you to schedule a free consultation at our Lafayette or Baton Rouge office locations by calling today.